The Government of the Federal Republic of Nigeria has approved the continuation of training in junior and senior courses for officers of the Armed Forces of Liberia (AFL) at the Armed Forces Command and Staff College in Nigeria. Although no specific date for the resumption of training was immediately disclosed, the approval was predicated upon an appeal Defense Minister Brownie Samukai made to the Nigerian Federal Government authorities during a visit to that country early this year. Also approved in the interest of the longstanding collaboration between both governments is the resumption of Phase Two of training for the Liberian pilots at the International Aviation College in Ilorin, Kwara State, Nigeria. This was disclosed by Nigerian Defense Minister Mansur Muhammad Dan-Ali during a visit with Defense Minister Samukai at his Barclay Training Center Office in Monrovia Friday. Dan-Ali also revealed his government’s approval of the offer of commissioning training slots at the Nigerian Defense Academy for both the Regular Combatant and the Direct Short Service Programs. 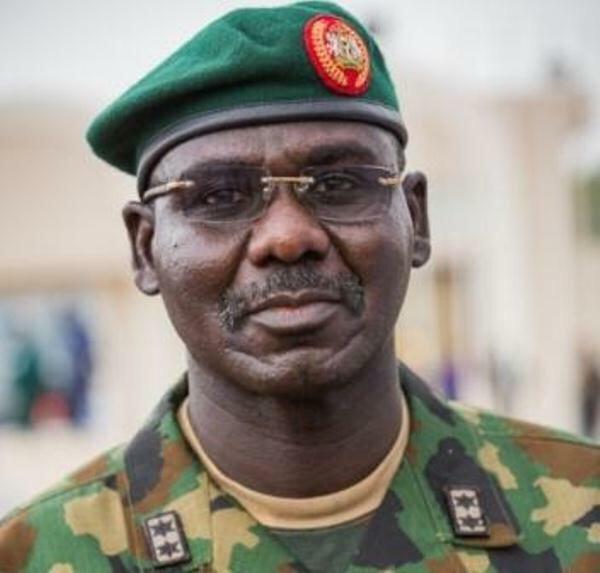 Meanwhile, he has committed the Nigerian Army to sharing knowledge and equipment from their Defense Industries Corporation with the AFL in time of need. Responding, Samukai extolled Nigeria for once again affording Liberia training opportunities at their military training institutions. The training will enable Liberian soldiers acquire advance knowledge at the Nigerian Defense Academy, Nigerian Command College, and other courses at Nigerian military institutions. Samukai described the performance of the ECOWAS training team as the best level of Nigeria’s representation to Liberia. “Their efforts in mentoring the officers of the AFL have helped in shaping efforts at the Headquarter and Brigade levels as well as to the operation and tactical levels of the AFL,” Samukai said. He then expressed appreciation to the Nigerian Government for the warm and cordial reception accorded him and his entourage during their visit to Nigeria. He lauded the eight years of service of the late Nigerian General Suraj Abdurrahman when he served as Chief of Staff and head of the new AFL. Dan-Ali was accompanied by ranking officials of the Defense Ministry of the Federal Government of Nigeria.